Coach Yolanda Duron, Ed.D., begins her 2nd year as a full-time faculty member and as the head coach of the men’s and women’s tennis program. Duron comes to Fullerton College by way of the University La Verne, where she spent seven seasons with the Leopards. She had inherited a team that went 3-16 in 2008. In the four seasons prior, the team had won a total of 9 matches, however she managed to turn the team around. Yolanda turned the struggling program into a contender, leading the 2014 team to the NCAA National Championships for the first time in their history. Under Duron, La Verne achieved its highest Intercollegiate Tennis Association (ITA) national ranking at No. 14, and she was named the 2014 Wilson/ITA National Coach of the Year. Prior to La Verne, Duron served as the head coach at Mt. San Jacinto College in 2008-09, leading the team to an 11-4 overall record and a 6-2-conference record. She was named the 2009 Foothill Conference Coach of the Year. 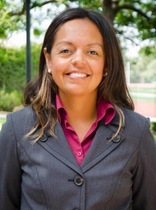 Yolanda was also the assistant men’s and women’s tennis coach at both Division II Cal Poly Pomona (2005-08) and Division I Temple (2004-05). She began her collegiate coaching career at alma mater Drexel University in 2002, serving as assistant men’s and women’s tennis coach for one season. A former Division I player at Drexel, Duron was the team captain as well as an America East All-Conference selection in 2001. She earned her Bachelor’s Degree in Business Administration from Drexel in 2003 while earning her Master’s Degree in Kinesiology from Cal State Fullerton in 2008. Duron also earned her Doctorate in Education from the University of La Verne in 2017. Her dissertation focused on coaches’ perspectives of their role in facilitating student-athlete development for first-generation college student-athletes. Duron is affiliated with both the United States Tennis Association (USTA), the United States Professional Tennis Association (USPTA), and the Alliance of Women Coaches.